In the wake of Facebook's $1 billion acquisition of the popular photo-sharing service Instagram, legions of young entrepreneurs -- hoping for a similar fate -- are out in full force pitching their companies to investors. But that may not be the best course. Most startups these days should hold off on lassoing investors until their companies are making solid revenues, according to prominent venture capital and angel investors at a panel discussion on young entrepreneurship late last week at TheBizDen 2012 Business Summit from NYIT School of Management. 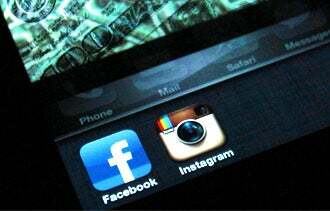 Many startups are now trying to emulate high-flying technology firms like Instagram, Twitter and Facebook. And while young entrepreneurs naturally think their business ideas are similarly blockbuster quality, the truth is, few rarely are. And that's the problem, says Tom "TK" Kuegler, co-founder and managing partner at Wasabi Ventures in New York. "Startups today are all just a standard deviation from one another." 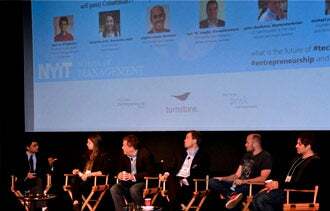 At TheBizDen 2012 Summit, panelists (from left: Arjun Rai, Samantha Smith, Peter Shankman, Tom “TK” Kuegler, Stephen Messer and Mike Yavonditte) cautioned startup entrepreneurs about building companies without a revenue model. What's more, precious few founders have given enough thought to how their new companies will actually make money, says Kuegler. Just as the popular tech firms like Tumblr and Foursquare rose to prominence without necessarily having their revenue model locked up, newbie entrepreneurs are following suit. But that's a mistake, says Kuegler. "Remember, you're in this to make money. If your startup isn't focused on how to make money, you're not doing it right." He adds that popularity is good, but it will only get you so far. "Our least successful companies are the ones that have been mentioned on TechCrunch the most," he says. Keep your day job. Investors will often encourage entrepreneurs who are employed to stay that way. Considering that many startups don't earn a profit for one to two years or more, you may need that money in the end. And with that steam of funds coming in, Kuegler adds that it will reduce your burn rate, or the time it takes to use up investor dollars. Stay humble. When starting a business, know that you're neither the smartest person in the room nor the only game in town. "There is always someone out there who is better than you and he'll eat your lunch and not even offer you a napkin," says Peter Shankman, an angel investor in New York and founder of Help A Reporter Out, a service that connects reporters with resources. Have passion. Resolutely, the most important takeaway from the panel discussion at TheBizDen Summit is to truly care about what you're doing. "I always tell young entrepreneurs to expect a five-year slog," says Michael Yavonditte, an angel investor and venture partner at ff Venture Capital in New York. And the only way to do that, he says is to be passionate about your business. What other tips would you add? Leave a comment and let us know.